Washington, Aug. 26 – For the first time in history, a TV show staring people with disabilities has been nominated for an Emmy Award– and one of the stars, Cristina, is Hispanic! The glass ceiling-breaking show is Born This Way, A&E Network’s critically acclaimed and award-winning original docuseries which airs Tuesday at 10 pm. Born This Way was nominated for Outstanding Unstructured Reality Program. In addition, two episodes were nominated for Outstanding Picture Editing for an Unstructured Reality Program. 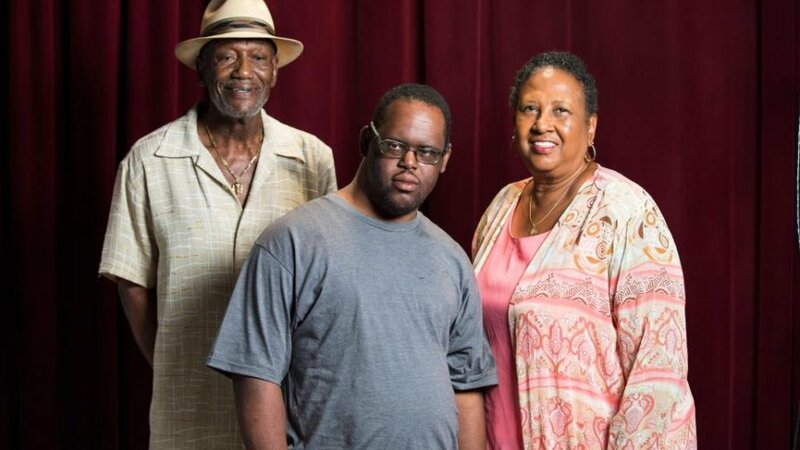 Washington, Aug. 26 – For the first time in history, a TV show staring people with disabilities has been nominated for an Emmy Award – and one of the stars, John, is African American! The glass ceiling-breaking show is Born This Way, A&E Network’s critically-acclaimed and award-winning original docuseries. Born This Way was nominated for Outstanding Unstructured Reality Program. In addition, two episodes were nominated for Outstanding Picture Editing for an Unstructured Reality Program. Join our fourth Twitter chat on August 23 on independent living and employment at 9/8c! Featuring Megan Bomgaars, Born This Way cast member and owner of @Megologcom! The first half of our #BTWchat focuses on Sean & Steven moving out and living independent of their parents. The second half of our #BTWchat focuses on Megan’s job interview and employment for people with disabilities. Our first Twitter chat was held on July 26, the season’s premiere. We followed that up with another chat on international travel and dating on August 9. Join us again on August 16 for a chat on living independently and employment and every week at 9/8c leading up each episode! The first half of our #BTWchat focuses on independent living. The second half of our #BTWchat focuses on employment for people with disabilities. Our first Twitter chat was held on July 26, the season’s premiere. Join us again on August 9 and every week at 9/8c leading up each episode! The first half of our #BTWchat focuses on @Megologycom’s first international speaking gig in Trinidad. The second half of our #BTWchat focuses on Sean’s blind date while traveling to Las Vegas with his friends. Featuring Megan Bomgaars, Born This Way cast member and owner of @Megologycom! 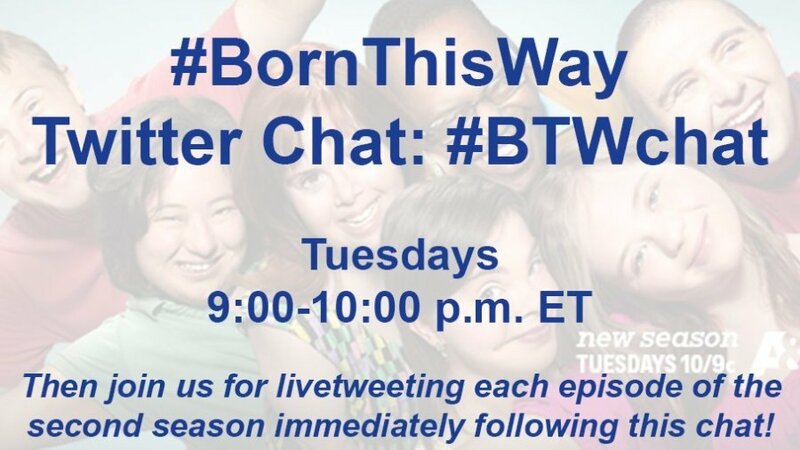 Hosted by Lauren Appelbaum and Cara Liebowitz of RespectAbility, this Twitter chat will take a look at ideas explored in Born This Way by the young adults with Down syndrome and their parents. Following this chat, join us in live tweeting the first episode of the second season, airing on A&E at 10/9c. Washington, July 25 – This month, A&E’s Born This Way, a show staring people with disabilities, was nominated for three Emmy awards. The show follows seven young adults with Down syndrome as they live, work and love in Los Angeles. Previously it was chosen as one of six honorees for the 2016 Television Academy Honors, an award that recognizes television programming that inspires, informs and motivates. Earlier, when reality television shows reduced stigmas surrounding disability, it was largely through individuals such as the super talented Nyle DiMarco, who won both America’s Top Model and Dancing with the Stars. 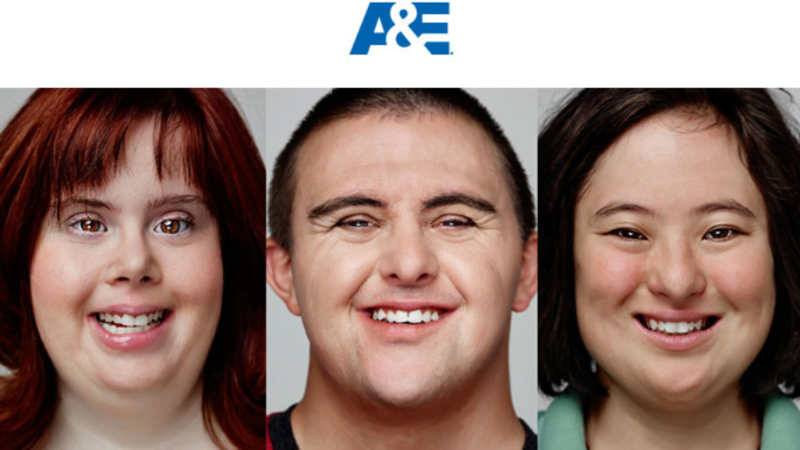 A&E’s Born this Way, on the other hand, is fully dedicated to dissolving the stigmas surrounding disability, as cast member Megan Bomgaars’ message “Don’t Limit Me” epitomizes. “Hey, I have a disability, and I’m OK with it,’” cast member Steven Clark said. 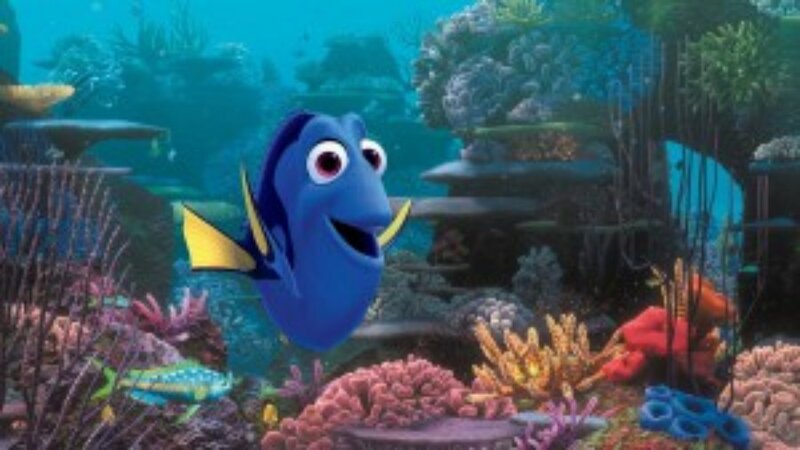 However, the box office success of Finding Dory and new TV shows such as Speechless are showing that audiences want to see strong, capable role models with disabilities.